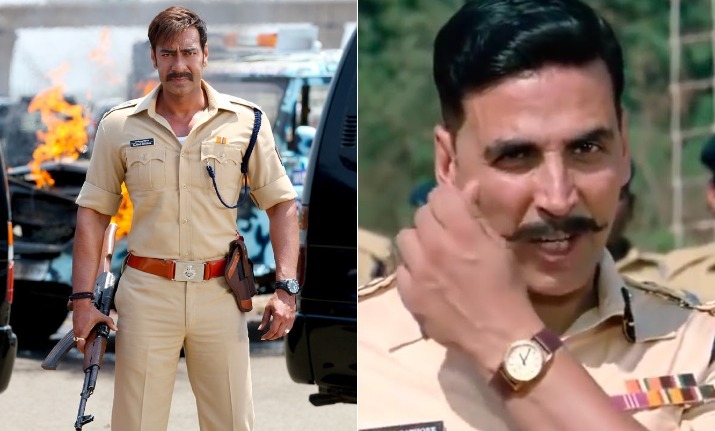 Not only Ajay Devgn, but Akshay Kumar to also have special appearance in Simmba! According to the reports, Akshay Kumar will also enter Simmba as a police officer. Simmba is just a day ahead of its release. Just before its official release, another news has taken the Bollywood fans by surprise. According to the latest report doing rounds in the media, superstar Akshay Kumar is also having a special appearance in this Ranveer Singh and Sara Ali Khan starrer. Before this, we already knew that Singham actor Ajay Devgn is going to have an extended cameo in the film, and now this another cameo has raised our expectations from the film. Simmba Box Office Collection: Will Sara Ali Khan, Ranveer Singh shatter box office records of 2018? Glimpses of Ajay Devgn’s character and form have already been seen in the song Mera Wala Dance which was launched on Wednesday. In the song, Ajay Devgn is seen beating the enemies black and blue while Ranveer Singh and Sara Ali Khan do the hook step. Coming to Akshay Kumar’s cameo in the film, according to Bollywood Hungama, Akshay Kumar will also play a cop in the film like Ajay Devgn. All the rest of the details have been kept under wraps to make this special appearance a surprise for the movie goers. After Koffee With Karan 6, fans eagerly wanted to see Akshay and Ranveer together on the silverscreen. It seems like Rohit Shetty have granted their wishes so soon. Simmba is a cop drama directed by Rohit Shetty. It continues from Singham from the scene where Ajay Devgn comes across a kid who wanted to become a police officer like him. Ranveer Singh is playing the grown-up kid who has become a police officer, but a corrupt one. Sara Ali Khan is playing his love interest in the film. Simmba is slated to release on December 28.